Govt wants to invoke the Official Secrets Act in the case of the ‘stolen’ Rafale papers, but the Supreme Court has said it can’t ‘hide’ behind the act. New Delhi: Attorney General K.K. Venugopal told the Supreme Court Wednesday that classified documents pertaining to the controversial Rafale deal had been “stolen from the defence ministry either by former or present employees”, and hence, “can’t be in the public domain”. “We are investigating how these documents were stolen,” the government told the apex court, referring to reports by The Hindu, which relied on these ‘secret’ documents. According to Venugopal, whoever had accessed and supplied these documents to the newspaper was in violation of the Official Secrets Act, 1923 (OSA). However, the SC remarked that the “government can’t hide behind the Official Secrets Act”. The SC was hearing a batch of pleas seeking a review of its own December 2018 judgment that the Indo-French government-to-government deal to acquire 36 Rafale fighter jets didn’t need scrutiny. The OSA’s wording allows for its application in an ambiguously wide range of circumstances. It has been used to prosecute journalists for exposing government ‘secrets’, and has clashed repeatedly with transparency laws and the Right to Information Act, 2005 (RTI). ThePrint looks at the principles behind the OSA. The OSA is a broad framework to identify and suitably punish espionage, sedition or other breaches of national security that threaten the integrity of India. Section 5 of the OSA, which deals with the “wrongful communication of information”, turns the Act “into a catch-all legal provision converting practically every issue of governance into a confidential matter”, as the M. Veerappa Moily-headed second administrative reforms commission (ARC) wrote in a 2006 report. The roots of the OSA go far beyond 1923, as far back as a “notification issued by the Foreign Department of the Government of India on 30 August 1843, which prohibited officials from making official documents public”. During colonial rule, Britain realised that an effective way to maintain and consolidate power was by restricting the access of information — thereby protecting its image, keeping its future plans under wraps, and preventing vital security intelligence from falling in the hands of its adversaries. In an article for the United Service Institution of India, Major General V.K. Singh (retd) writes that by 1887, “all British colonies were advised to issue similar ordinances”, so that even “making a sketch, drawing or photograph of any fortification in the garrison” was prohibited. In September 1889, the Official Secrets Act was passed in Britain, later to be replaced by the Official Secrets Act, 1911. For India, it became clear to the British that it was “desirable that there should be a single consolidated act applicable to Indian conditions”. Over the years, the Indian counterpart of the British law underwent significant modifications — getting harsher with time — moving from the Indian Official Secrets Act, 1889, amended by the Indian Official Secrets (Amendment) Act, 1904, to the Official Secrets Act, 1911 (1 and 2 George V.C. 28), and finally the Official Secrets Act, passed on 2 April 1923. Citizens have no insight into what the criteria of classification is because despite multiple questions from activists over the years under the RTI Act, the Ministry of Home Affairs has not disclosed this information. The introduction to the Act itself lays the framework that the government’s information must be protected from “the menace of spying”, even by “the citizens of the country may be (sic) in government service or in private business or just thriving over this nefarious act”. Notably, even in Section 8(2), the OSA is the primary consideration — an exception to transparency embedded in Indian jurisprudence since independence. 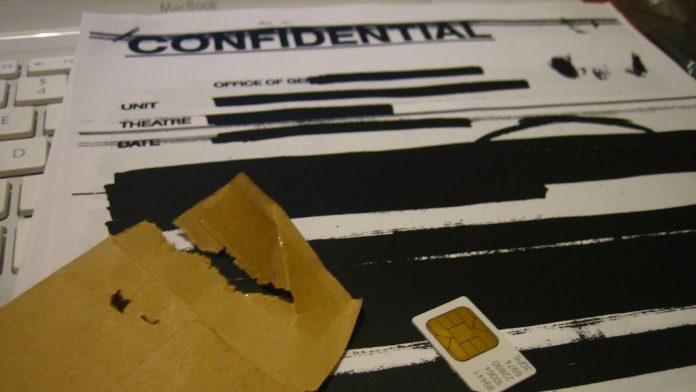 The ARC recommended that the OSA be repealed in favour of appropriate changes to the National Security Act, “containing provisions relating to official secrets”, but the government disregarded the suggestions, facing pressure from intelligence agencies. In the three years leading up to 2017, 50 violations of the OSA were registered across the country, as per a written reply in the Lok Sabha. Of these, 30 were registered in 2016, nine in 2015 and 11 in 2014. In 2009, in what was seen as a defining moment for press freedom, a Delhi court ruled that the publication of a document classified as ‘secret’ would not render the journalist liable under the draconian law. Additional sessions judge Inder Jeet Singh freed journalist Santanu Saikia of 10-year-old CBI charges. He was accused under the OSA of carrying a cabinet note on divestment policy in his report. The British similarly abused the law in their time — Major General Singh’s articles states that in 1896, two people were arrested for merely “taking photographs in the Bombay harbour”. Singh states that the army also pressed for a change in the law in 1901, “after a Parsee was found taking a harmless photograph of Colaba Fort”. “Curzon reluctantly approved the amending Bill in March 1902, stating that ‘it was the anti-thesis of everything that I had previously thought or written’,” Singh wrote.